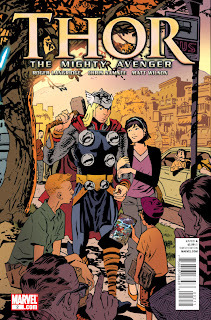 There is a preview of Thor: The Mighty Avenger #2 up at CBR! Only $2.99! On sale Wednesday! Beautiful, sensitive, naturalistic work! I think I'm ready to start buying Marvel comics again. Congratulations!